Sometimes I head a little far afield of even the art world when I choose the quotes for this Sunday morning art thought. But I’ll bring it around. I promise. 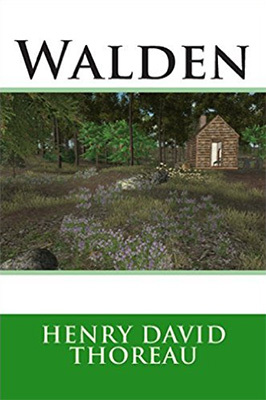 Walden by Thoreau is an interesting read and his sharing of thoughts on slowing down and observing the world in which we hang out in real time and that it is a good idea. You don’t have to take as much time as he did, but you can slow down and observe for small chunks of time. I find it quite helpful. 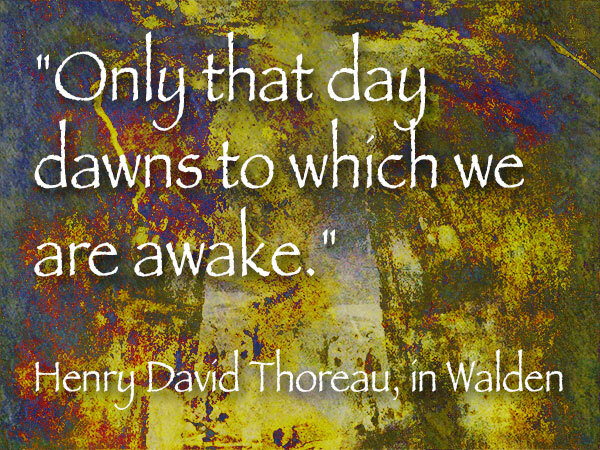 On to today’s quote, so we are on the same page. I share this idea today because I find many people, including myself, often living in the past or the future instead of the present. Don’t believe me? Ever drive home and then wonder how you got there? In the shower do you feel the water cascading from your head down your body and hear the musical splashing of the drops onto the floor? Or, are you on auto-pilot missing these moments and planning what you should be doing after you get to work? Or are you wallowing in the past upset with something someone said and replaying that conversation over and over ad nauseum?? Other examples abound. Reading and not know what you’ve read moments later. Shaving your face and missing the whole left side. Brushing your teeth and not knowing whether you’ve done the top inside yet. You get the idea. We can become better creators if we learn to be in the present and learn to observe more. See more details, Retain more of those details. 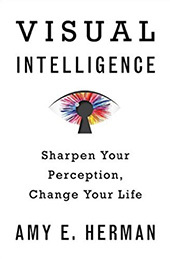 For help with seeing more and recalling what you see, you might want to try Amy Herman’s book Visual Intelligence. It’s a guide to visual understanding and communicating more clearly. Her book is based on a course for law enforcement, such as the FBI, police officers and CEO’s, ER professionals to become more observant. Getting control of our thoughts is the first step. Slowing the constant cascade of the unstructured noise that our brains are capable of generating. Meditation can be of tremendous help in quieting the mind. 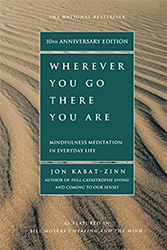 I recommend Jon Kabat-Zinn and his book Wherever You Go There You Are. He also has a set of guided meditations that are wonderful as you start down the road of being in the here and now. Mindfulness Meditations. Hope you enjoy this reading list. I hadn’t intended to go this deep. Sometimes writing can lead you to a rabbit hole, and the exploration can take you to interesting places. Just ask Alice. PS – Here’s the tie in. When you see better and remember what you see you can be a better creator of images. Happy reading!